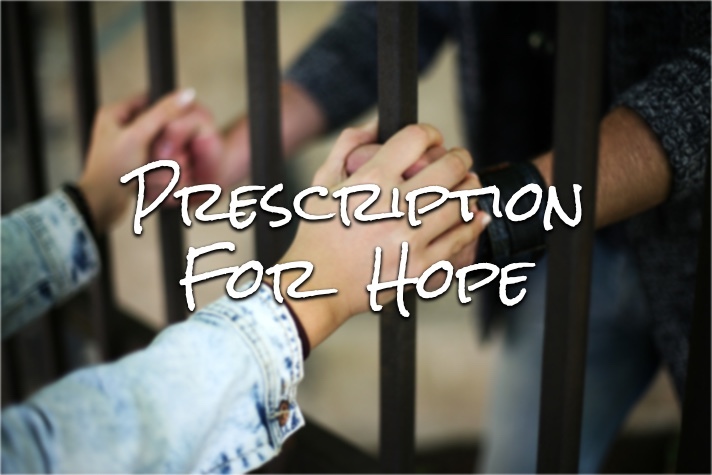 Chaplain Willie Templeton doesn’t get discouraged when he sees an addict return to the Montgomery County Jail in Dayton, Ohio. Rather, the 30-year ministry veteran praises God for giving this person another chance in the city once termed overdose capitol of the United States. Templeton was a corrections officer here before becoming the chaplain five years ago. In his current role, he sets up and oversees a variety of faith-based and secular programs offered to the 800-some inmates housed in the Dayton, Ohio, facility. Rough estimates indicate nearly half of those incarcerated have drug-related charges, and on average 60 people daily are experiencing painful, but not life-threatening, opioid withdrawals cold-turkey. Comfort medicines are offered to alleviate the flu-like symptoms of ridding the body of opioids, but nothing stronger, Treatment Coordinator Teresa Russell shared during a jail tour in late July. Russell’s position, added about a year ago, oversees contracts for healthcare services in the jail, but also has been a force behind some more radical programs including peer support services and medically assisted treatment, like the use of Vivitrol—an opiate blocker—for qualifying inmates. Lacy is one such inmate. In July, the young mother wore a gray jumpsuit, sitting at a picnic table where she talked with peer counselor Kristen LaCaze about the possibility of Vivitrol, a monthly injection that is believed to help ease opioid dependence. Let your elected officials know you care, too. Contact them today. That would be a dream for Lacy, who was just wrapping up a six-year opioid-related sentence. Her life on drugs began years ago after she was raped. Her daughter was born exposed, and the guilt of watching that baby detox was crushing. But her addiction controlled her, and she continued to use until she was arrested. Her daughter became one of hundreds of children in the state’s crowded foster care program, and while Lacy was in prison, both of her parents died. Her dad had health-related issues, but her mom overdosed on the illegal opioid heroin this past Mother’s Day. “I’m still numb to it. It doesn’t feel real. I feel like they’re lying,” Lacy said. Returning to life outside the jail walls looked daunting at best for Lacy, and officer Larry Lane said that’s actually the reality for many inmates once they get clean on the inside. It’s especially hard, he said, if inmates are lined up with a treatment option that won’t be available for weeks upon their release. “I can’t tell you how many times I literally had people in tears, begging us not to let them out of the jail because they knew they weren’t going to last six weeks,” said Lane, who spent 12 years working in the jail. Today he serves as a community resource officer working with local schools. People in recovery are challenged to change people, places and things. They’re never advised to go it alone, and Lane, a man of strong faith, said the challenge now is for churches to step into those gaps. Offer recovery ministries that actually walk alongside people when they need it most, he suggested. Lacy’s confidence is bolstered, though, by the reality that LaCaze will be outside those jail walls with her. LaCaze has walked this path. They once used drugs with the same crowd. But now, they’ll be holding each other accountable to sobriety. Peer counselor Kristen LaCaze is part of an innovative, jail-based program where vetted addicts in recovery mentor people walking a similar path. The counselors encourage people at varying stages of the addiction process. Down the winding corridors of the jail, the elevator dings and Scotty Mays bounds out with a notebook under his arm. He actually served time in this very same jail in 2012. A childhood rooted in trauma led to constant alcohol and drug abuse. He’s been clean almost three years now, and, like LaCaze, he’s part of the innovative peer counseling initiative that focuses more on a person’s potential than their criminal past. “I never thought I’d ever go back to jail,” Mays said. “That’s the last place I want to be, but now I’m on the other side of the fence. What I was able to help out today was with a gentleman; dude’s 52 years old, and he’s tired. He’s exhausted, and that’s what it takes. Mays claims Jesus as the source of his strength, and as soon as a male inmate requests a counselor, he does his best to be there. Too much is at stake, in his opinion, and Lane is a firm believer the peer counselors bring the necessary street credibility. “No do-gooder can replicate that with the best of intentions,” Lane said. Templeton, the son of a preacher, has prayed many prayers and shed many tears, loving people on all sides of the opioid fight. Some are walking in sobriety, and some unfortunately have fatally overdosed. But the bottom line is they can’t do it alone, he insists, and no matter how many times they come back to jail, he offers only encouragement. “You messed up, you get up, you clean up, start over,” he said he tells them. “I know that they’re not going to be able to do it on their own,” he continues. “So I make no bones about it. Some people may agree or disagree with me. However, I feel like any recovery process without God as your foundation, you have the capability of falling at anytime. I’m strong on faith-based recovery. Again, addiction is addiction. I know right now we’re talking about opiates, but addiction is anything that takes over your life and makes you act a certain way. Don’t go it alone. Find the true Source of strength today.